Warranty : Six month warranty other than breakage. Customer need to send the product to nearest service center , in case, there is no service center nearby the product should be send to company back for repair. Overview Treat yourself with the best experience of viewing movies and videos at home with this smart and sleek Xifo S- Series Full HD LED Television. You could have never imagined the possibilities of getting more vivid and powerful features in a TV. With such features, you will be able to enjoy quality time at home along with family and friends. The sleek and compact design makes it easy to mount. With the latest LED ready technology, this television from Surya is here to provide you with the best in class picture clarity. 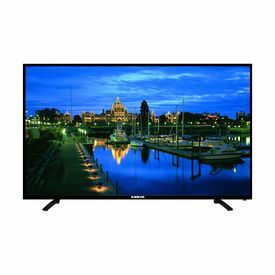 It features a 80(32 inch) cm display that is ideal for viewing all high definition content. You can shop online for it at a reasonable price.. Display Type The visuals on this TV will maximise your enjoyment and will surely take your viewing experience to a whole new level. With an amazing resolution and wide display, this LED TV will not only let you have wholesome entertainment but would also let you view documents and presentations with absolute precision. HDMI and USB Ports This TV comes with one HDMI and one USB port that would let you play almost any media. It also has one Composite Video Input, one Component Video Input and one Audio Output. Other connections are HDMI, USB, AV-IN, AV-OUT, VGA. Play your computer games on this Xifo S- Series Full HD LED Television screen as it comes with the ports that would let you connect laptops or desktops to the TV. Now take pleasure in being occupied all day long with this Television set and stay entertained with your friends and loved ones. Audio Capability This TV comes with 2 x 24 W speakers which will provide you with a crisp sound quality. The incredible sound can be adjusted as per the requirements and desire of the user. It has built-in woofers while the sound modes available are movie, music, sport and user. 1 Year warranty other than breakage. Customer need to send the product to nearest service center , in case, there is no service center nearby the product should be send to company back for repair. DISCLAIMER THE INSTALLATION SHOULD BE DONE BY THE CUSTOMER.